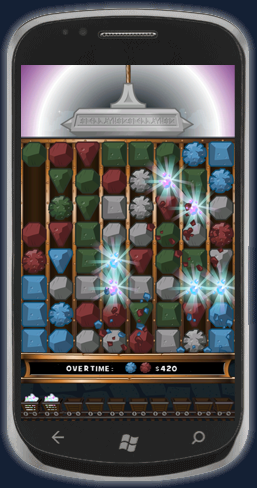 Jewel Miner has the intensity that exists during the higher levels of Tetris with a match three game-play similar to Bejeweled but with its own twists. Each level brings a new reward. 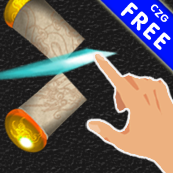 Jewel Miner gives you a purpose for playing a match 3 game! The match three system here is different than others where your matching rocks do not have to be touching each other, but you do need to match on shape and color and then slam the hammer down with your finger on the top. Can you do that fast enough before the board fills up with rocks? Good luck. 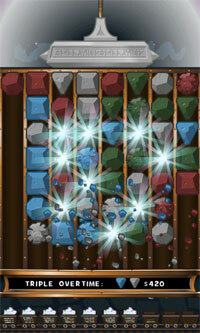 How do you play Jewel Miner? For starters, match 3 of the same shape and color. 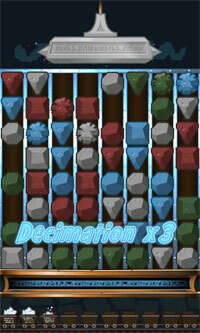 However, you will score more and enjoy it more if you match the same quantity across multiple shape and colors. For example, match 4 green squares, 4 red squares and 4 blue squares and you are in the money. See the in game help for more details on the other bonus's. 3 Game Modes: Crush keeps you on your toes, Arcade is double the action and Endless lets you take your time to score the big combos. Rich Graphics and Audio: Every step of the way will keep you entertained with professional illustrations and animations that are second to none. The games 3 soundtracks will keep you coming back for more. Multiple Player Profiles: A staple with all our games, you can duke it out with family and friends by having as many players as you want. You can also compete globally in the leaderboards. Tap or Swipe: These rocks are small, but care was taken to make sure you can crush every one of them to rake in the big bucks while you play. ©2013 Cheese Zombie Games Inc.